Whatever the excitement of #elecs2015 the most important thing to remember today is that it is the 70 anniversary of VE Day. 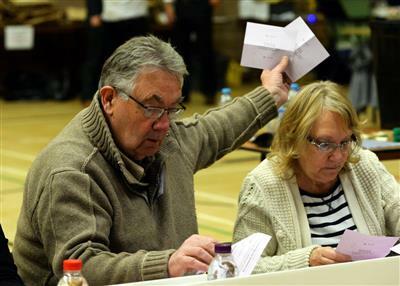 Allerdale council has received 16,657 postal votes for the borough and parish elections. 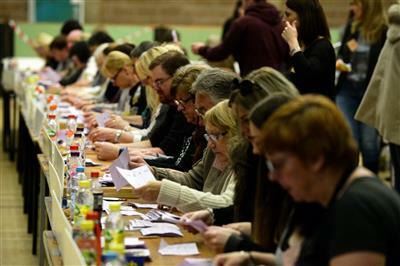 In Allerdale, there has been an issue in Cockermouth regarding the parish elections in the Christ Church and Double Mills wards. 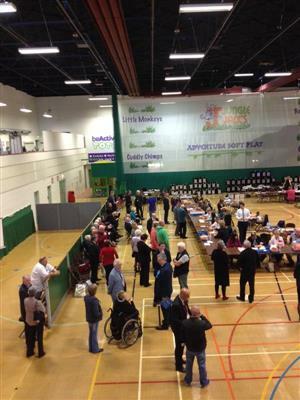 The Harris Park polling station was dealing with elections for both parish wards. 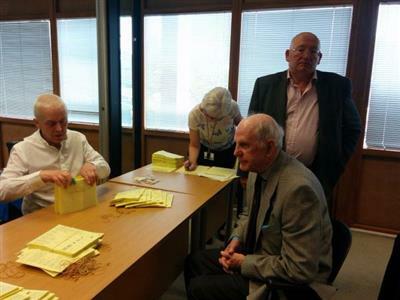 It was mistakenly only issued with papers for the Christ Church ward, which were issued to all voters before 1pm, when the error was reported to the acting returning officer. This means those who live in the Double Mills ward have not voted for the candidates for that ward. Andrew Seekings, acting returning officer, is due to meet with candidates today to discuss the issue and the best way forward. He apologised for the error and said it may mean there will not be results announced for Double Mills or Christ Church later today. The borough or parliamentary elections were not affected. 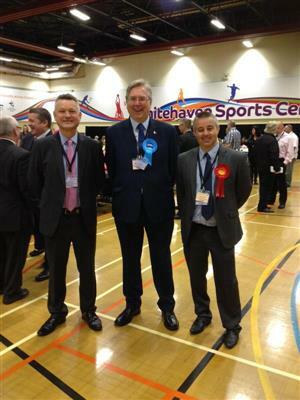 The count has started at Workington Leisure Centre. 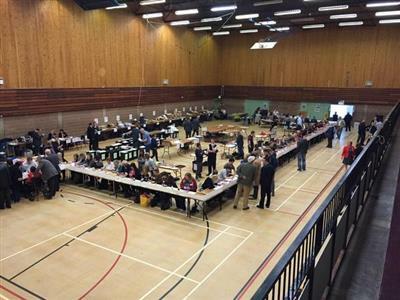 Wards from All Saints to Ellenborough will be the first to be counted for the borough election. 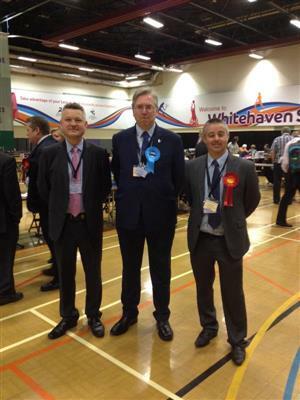 Labour's Barbara Cannon, who was elected unopposed for her Moss Bay ward on Allerdale Borough Council, said: "I think we ware going to see some different kinds of voting patterns in the local elections than we have in the nationals. 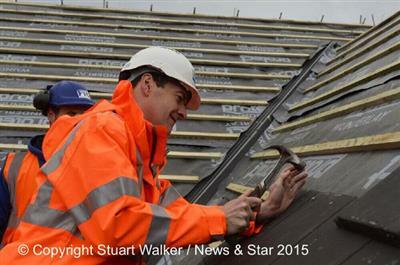 It's going to be interesting but I'm fairly optimistic for Labour. We're going to see some new personalities on the council on all sides though, I'm sure." Independent Nicky Cockburn, who is standing in Broughton and St Bridget's ward, is not hopeful about being re-elected. 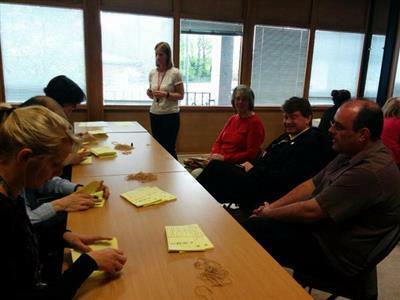 She's looking a bit disheartened by the table with the votes on for her ward. UKIP's Mark Jenkinson, standing for Seaton, says Nigel Farage pledged to stand down so his resignation was not unexpected, but he's not worried about the party's future as there's some "very good people waiting in the wings" and he'd put his money on Susan Evans. Alan Smith, who is standing for the All Saints ward in Cockermouth, said: "After 20 years it gets no better for your heart rate and blood pressure. It's the same for all the candidates. "After six weeks of hard work and focusing on this day, this is the release of all the tension when the results come out today." With Clegg quitting, are we about to see Tim Farron, who retained his Westmorland and Lonsdale seat last night, become leader of the Lib Dems? He wouldn't answer any questions on the subject last night. 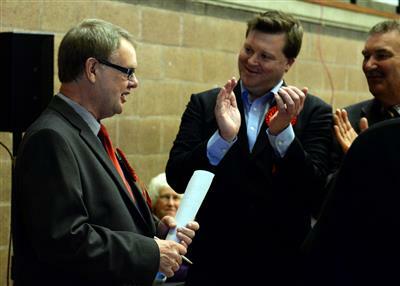 ALLERDALE RESULT: Clifton LABOUR, Phil Tibble, 541 votes. 64.04 per cent turn out. Returning officer is meeting with candidates from Double Mills and Christ Church wards in the parish elections for Cockermouth now to discuss the error over ballot papers. Margaret Jackson standing for Christ Church in Allerdale borough elections. She isn't sure if she'll keep her seat. In fact, most of the candidates Sarah and Liam have spoken to this morning aren't at all sure what way the cards are going to fall today. Labour's Joan Ellis is hoping she'll benefit from Sam Standage stepping down in Cockermouth's Christ Church ward. She said: "We have run a good campaign in Cockermouth and had a lot of support and I'm hoping that's reflected in the voting."